The UT for ArcGIS Product Suite is the leading Esri GIS Application for utilities in Europe, Middle East and Africa (EMEA). 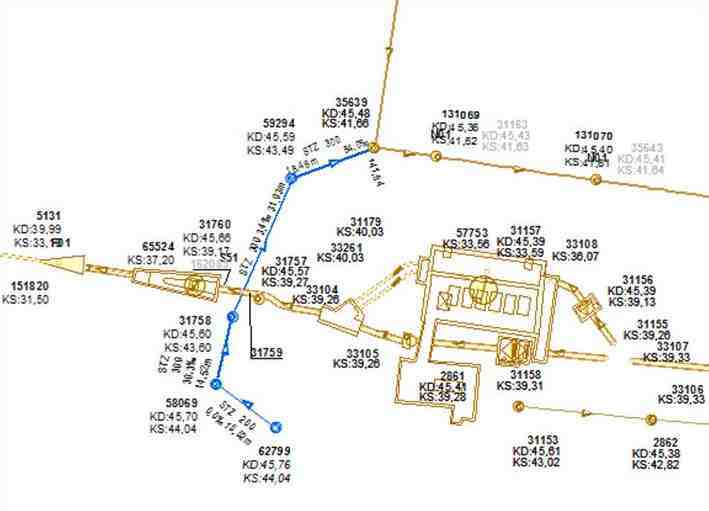 It is one of the most feature-rich GIS products for multi-utilities on the market. With it, we are offering over 25 years of experience. ESRI is the world-wide leading GIS company and AED-SICAD has extensive experience with the development of GIS standard products for the utility industry. Together we provide solutions for all sorts of energy companies – from small municipal suppliers to international multi-utilities, operating all kinds of data (electricity, gas, water, sewage, district heating, telecom and basemap). With the UT for ArcGIS Product Suite, these professional users have a versatile and powerful platform for all spatial processes – both within the companies themselves and with enhanced added value coming from services provided for third parties. For each of the classes we provide default symbols for cartographic representation. With the standard ArcGIS for Desktop tools you may change this thematic mapping, or create your own new layouts without programming. The UT for ArcGIS Product Suite supports different data models for each of the industry branches and it has common objects that are shared by all industry branches. 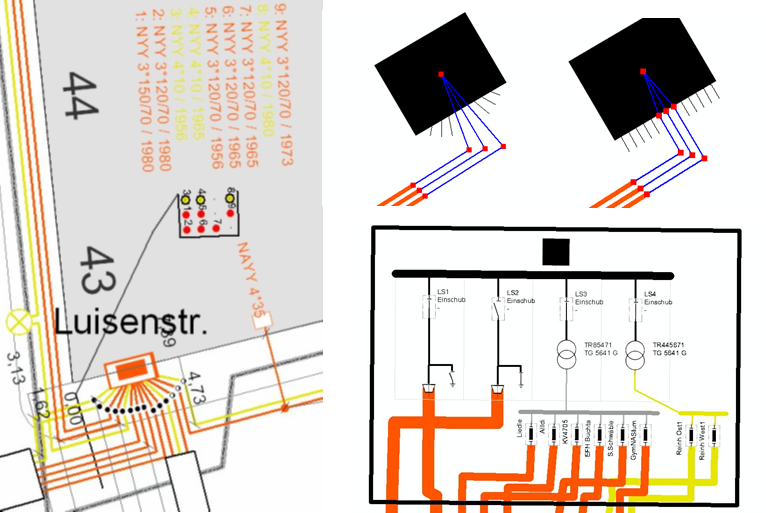 UT Editor provides pre-configured graphic and alphanumeric data models for Electricity, Gas, Water, Heating, Telecom and for Base Maps. For Sewage and Wastewater Management there is a separate product. Gas and Water distribution networks are organized by default in high, middle and low pressure. You may also configure them to any of the industry standards available in your country. Special Reporting of outages in your network to the Regulator are available in our Reporting Tool. Especially for Gas and Water distribution there is the Valve Isolation traces that supports you in cases of accidents or planned outages. 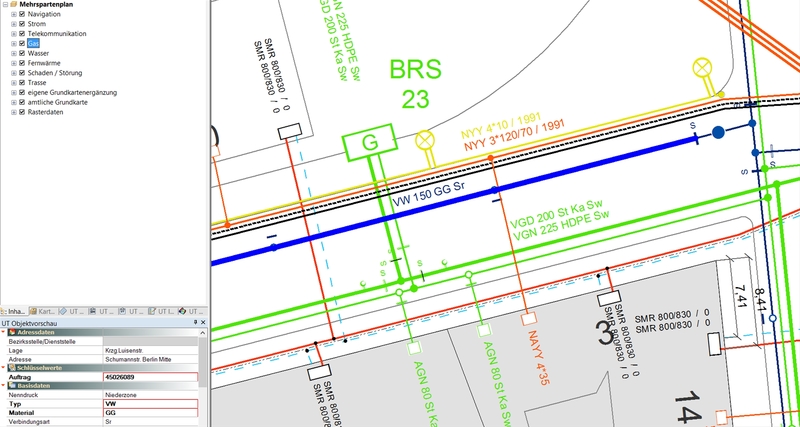 This trace is available through all products of the UT for ArcGIS Product Suite: in the UT Editor, in the UT Asset Manager and Mobile, as well as in the web environment of our UT SmartApps. Cathodic Protection is essential in Gas and Water distribution. We provide dedicated traces through different geometric networks to support your cathodic protection work. Sewage and wastewater networks have to be managed by many multi utilities, cities and industrial operators. In this field we strongly rely on the proven solution novaKANDIS from our partner CADMAP which has been fully integrated into UT. novaKANDIS stands for efficient channel management and comes with a modular architecture. The solution offers a sophisticated standard data model and all the components of a modern information system for sewage operators of any size. From network documentation, reporting and renovation planning to maintenance, inspection, interfaces to hydraulic calculation systems and value assessment it covers all the relevant workflows. Please ask our sales team for more information or look at our partners websites. Our Conduit Management System provides an excellent opportunity to maintain electrical and telecom cables in one single environment. Usually services on telecom fibers are managed in additional cable management systems. There is special Empty Pipe trace to find free space in conduits (Speedpipe /Flatliner) for additional cables. Damage and outage analysis in the network is supported by a bundle of tracing function, e.g. search upstream station, find downstream services, locate by echo distance, etc. All these traces are available by default in all UT for ArcGIS product components on the desktop, in the field and in your web browser and on smart devices. 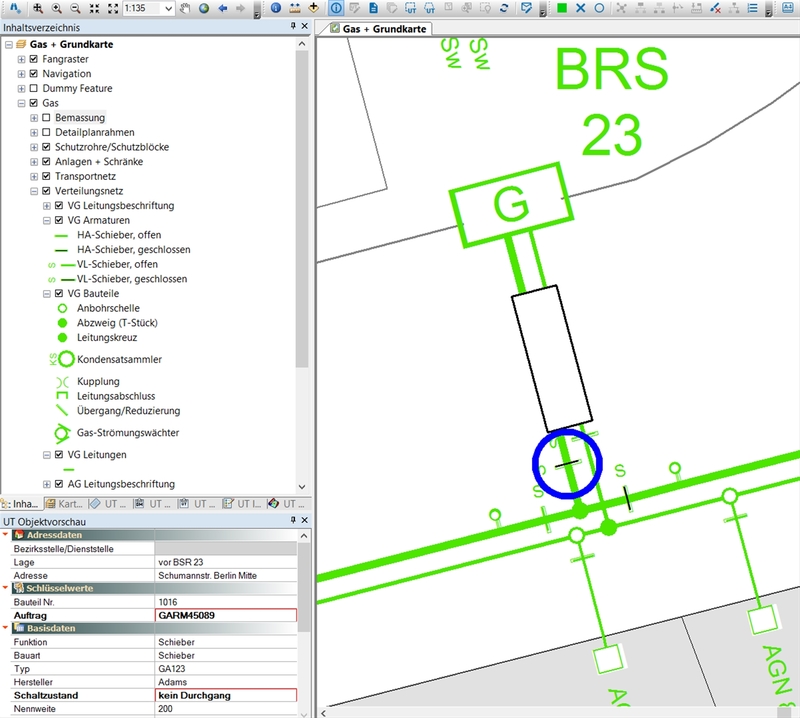 Load Flow analysis and Short Circuit calculations can be performed integrated inside the GIS environment, not only in the desktop but also server based in our UT SmartApps! You may perform calculations on the existing parts of your network, but also on newly planned networks.